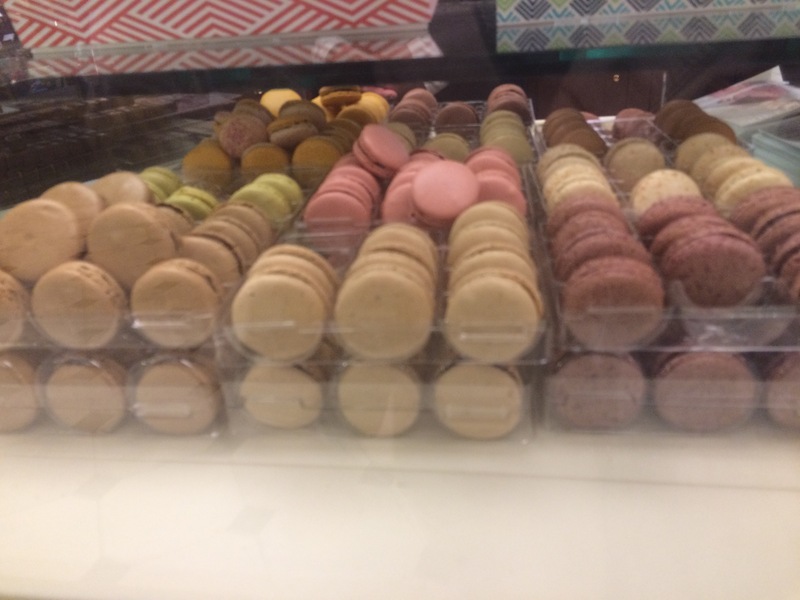 The beginning of next week, March 20th, marks the twelfth celebration of International Macaron Day, which started in Paris in 2005 as a way of raising money for charities. 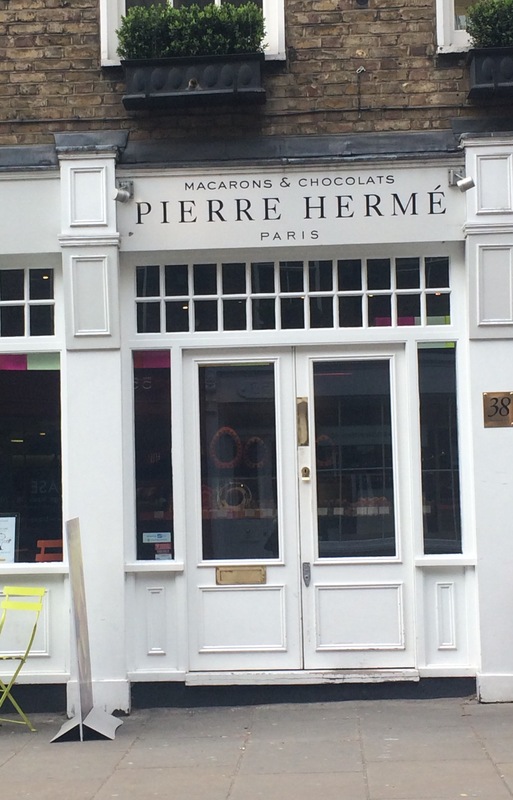 The idea came from French baker Pierre Hermé, who started the tradition by offering a macaron to customers visiting his shops in return for a financial donation. 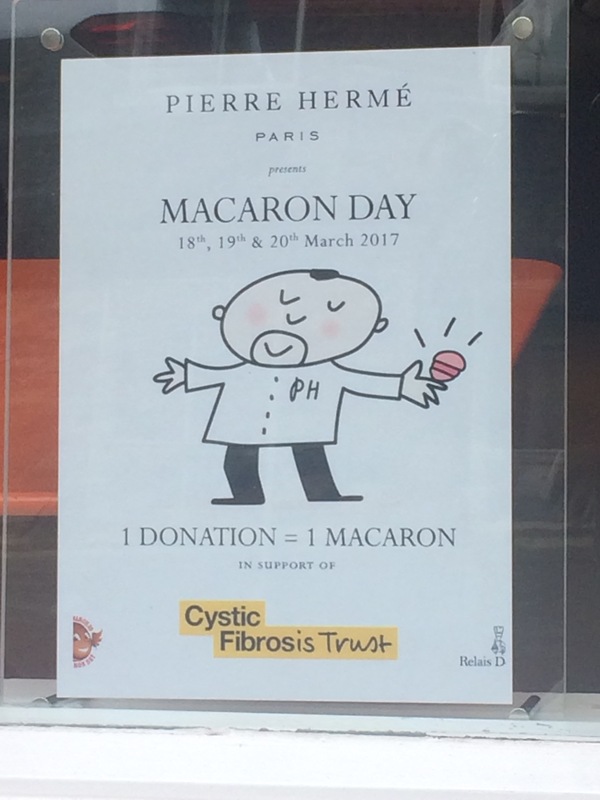 Aside from being one of the most Instagrammable calendar events around, it’s also obviously a brilliant excuse to eat macarons for a great cause. 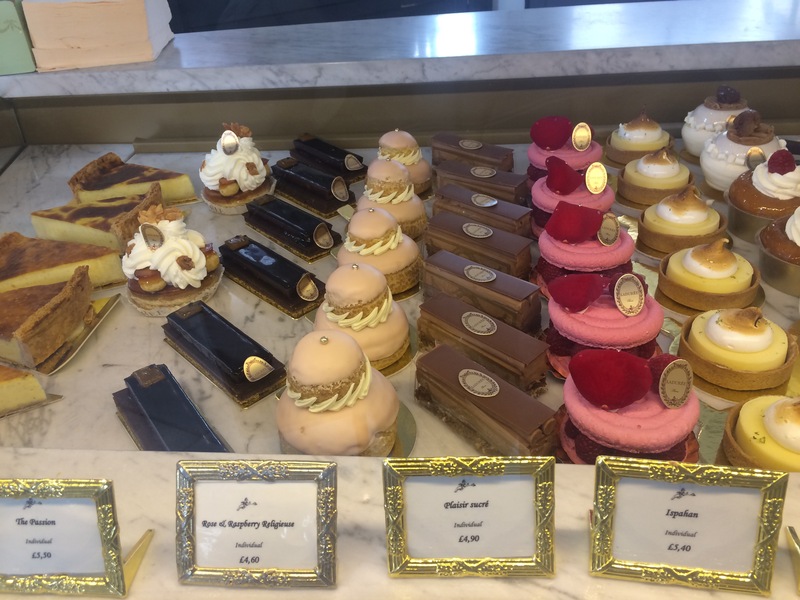 So if, like me, you’re also a bit obsessed with colourful discs of sugar and almonds crammed with ganache, why not pay a visit to these bakeries below? 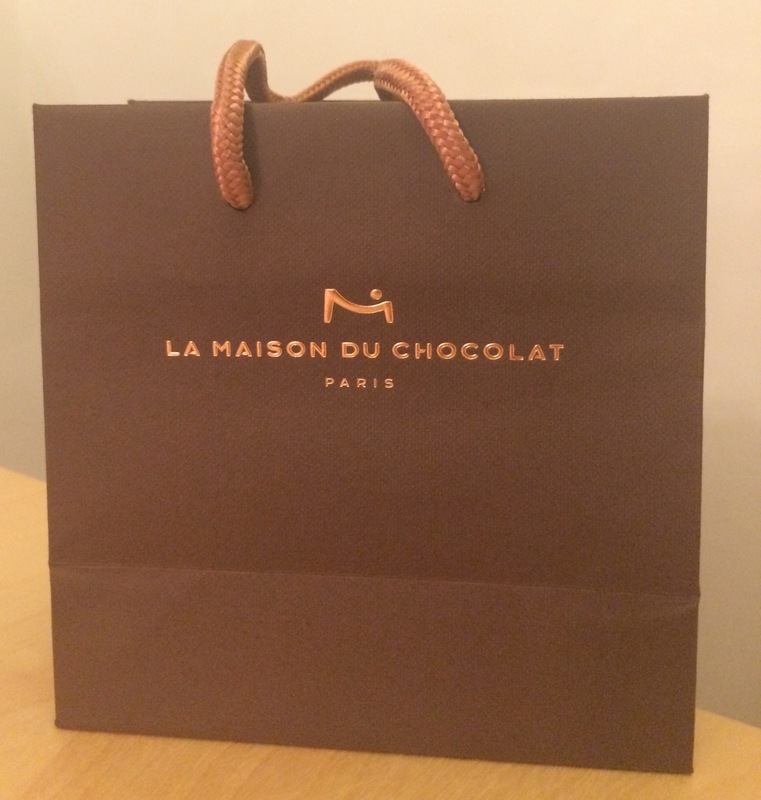 The only outlet to use chocolate ganache infused with different flavours in all of their macarons, La Maison du Chocolat was founded in the late 1970s in Paris by Robert Linxe, the ‘Wizard of Ganache’. 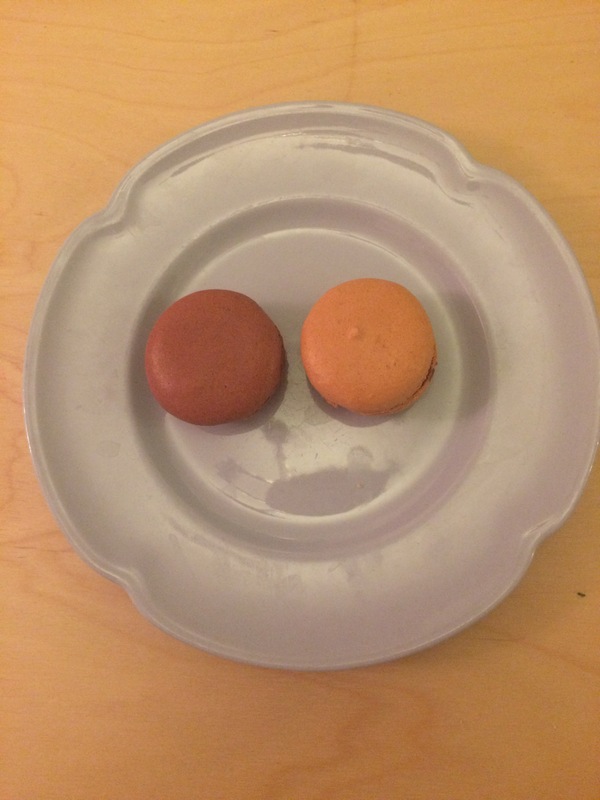 A ‘Quito’ macaron with dark chocolate ganache and ‘Rigoletto’ macaron with milk chocolate ganache and salted caramel sauce from Maison du Chocolat. 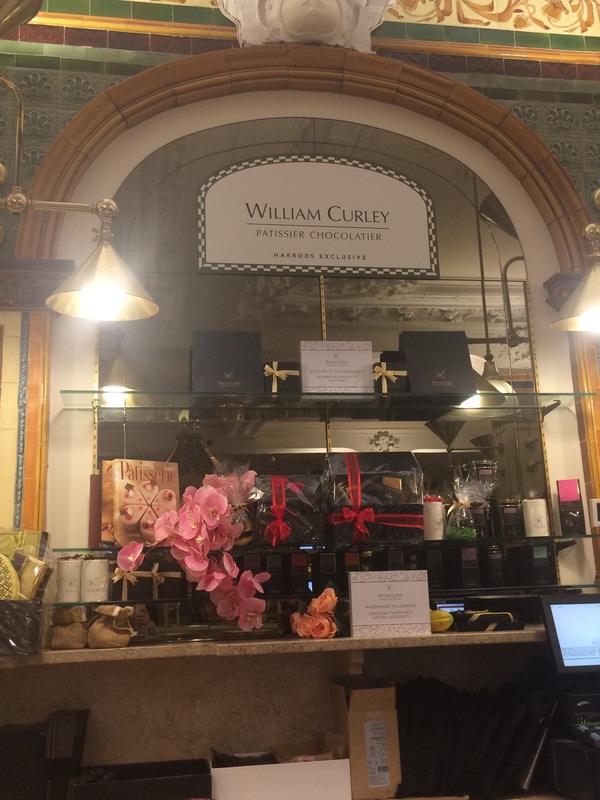 Address: Harrods Food Hall, 87-135 Brompton Road, Knightsbridge, London SW1X 7XL. Opening hours: Open every day from 10:00 to 21:00. (Nearest tube station: Bond Street). 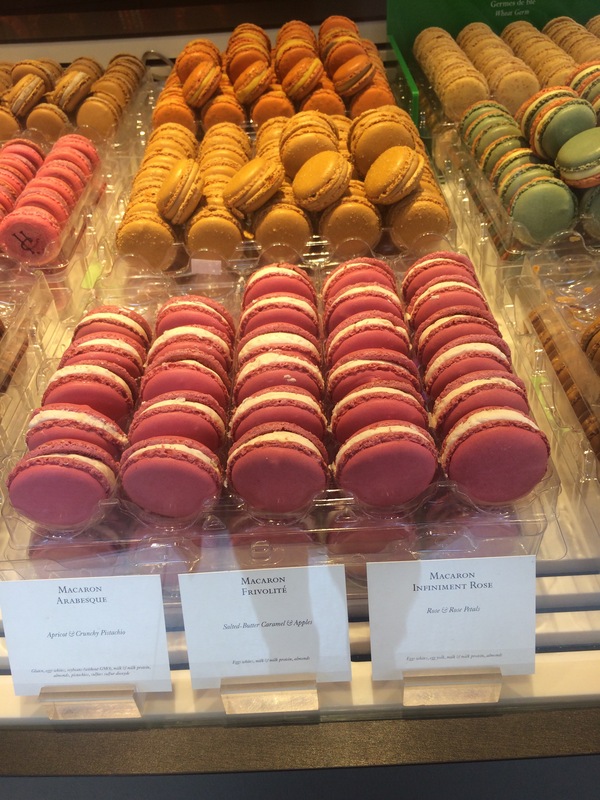 The man behind International Macaron Day, whose creative flavour combinations include jasmine flower and jasmine tea, chocolate and passion fruit and apricot and pistachio, has inspired lots of chefs, not least Great Bake Off finalist James Morton, who appeared on the show in 2012. 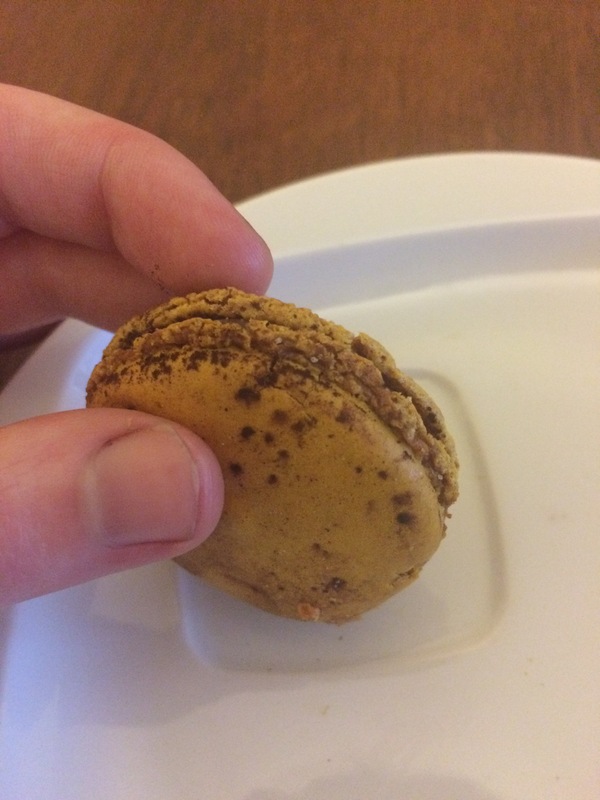 ‘Mogador’ chocolate and passion fruit macaron from Pierre Hermé. 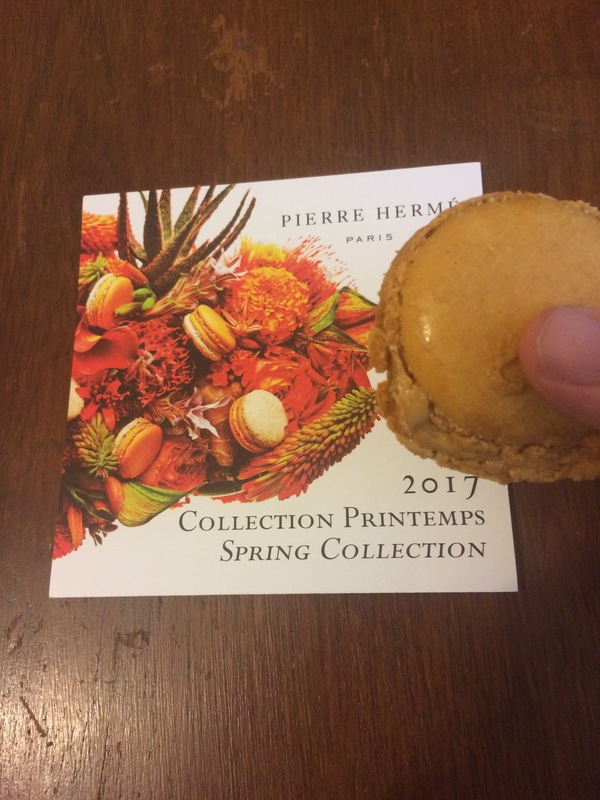 Frivolité salted caramel and apple macaron from Pierre Hermé. Address: Seven Dials London, 38 Monmouth Street, London WC2H 9EP. Opening hours: 10:00 to 19:00 from Monday to Thursday, 10:00 to 20:00 on Friday and Saturday, 12:00 to 18:00 on Sunday. As well as having a Michelin star to its name, dim sum restaurant Yauatcha also has a pretty good pâtisserie counter. 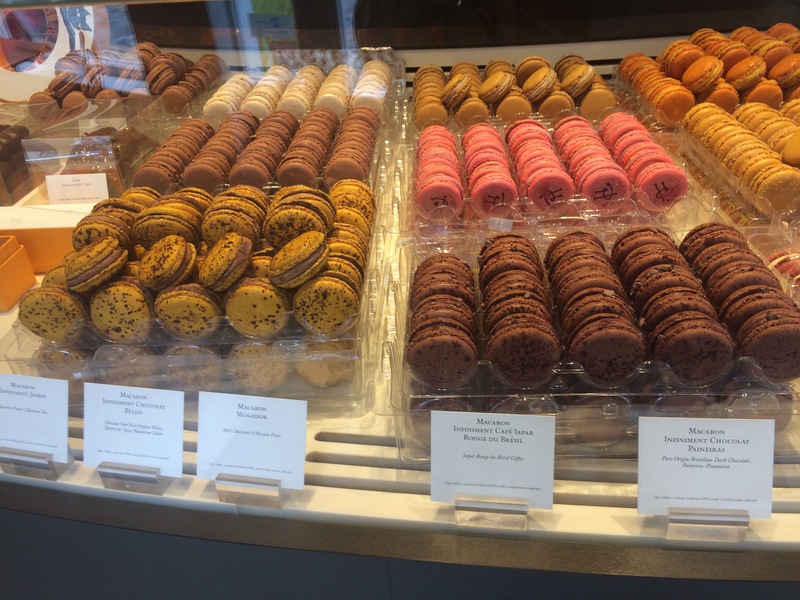 Try the incredible smoked salted caramel macaron or the raspberry and chocolate macaron if you visit, which are both absolutely delicious. 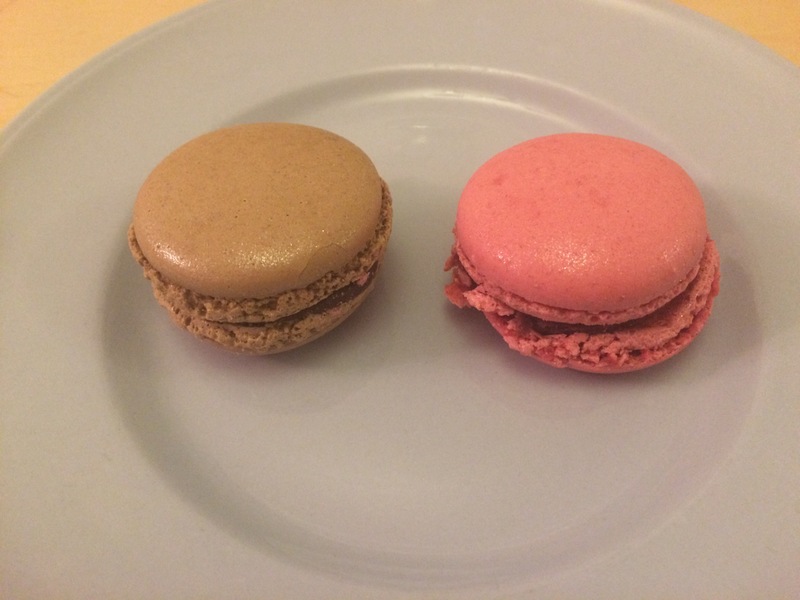 Smoked salted caramel macaron and raspberry macaron with chocolate ganache from Yauatcha. 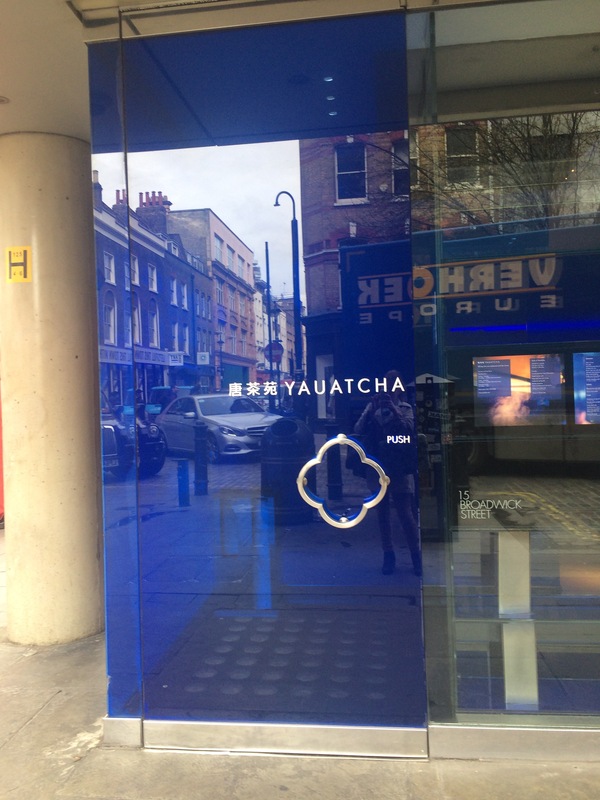 Address: 15-17 Broadwick Street, Soho, London W1F 0DL. Nearest tube station: Oxford Circus. Opening hours: 12:00 to 22:15 from Monday to Thursday, 12:00 to 22:45 on Friday and Saturday. (Nearest tube station: Liverpool Street). Set up in the late 1800s and known for its ornate decorations inspired by the Opéra Garnier opera house in Paris, Ladurée and its macarons shot to fame after a starring role in Sofia Coppola’s 2005 film Marie-Antoinette, the Austrian archduchess known to her disgruntled subjects – among other even less polite names – as ‘Madame Deficit’. 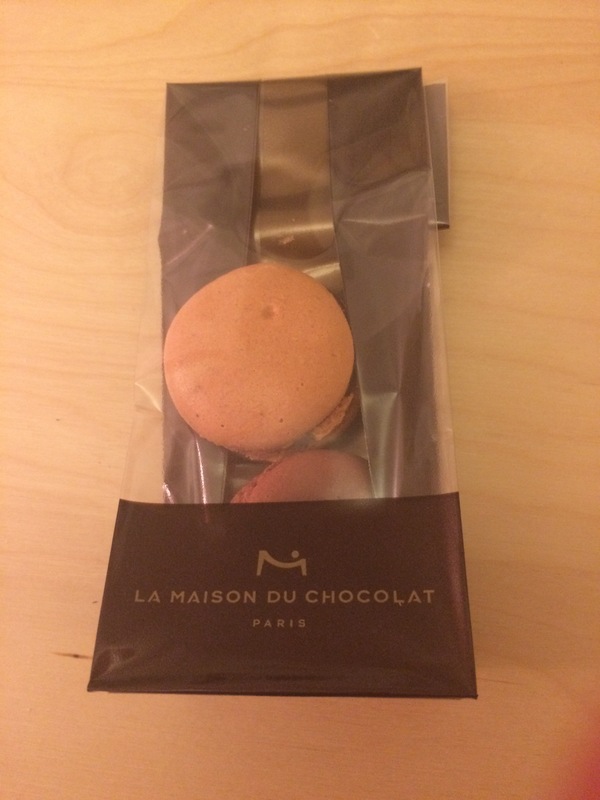 A chocolate and hazelnut macaron and pistachio macaron from Ladurée. Address: 1 Covent Garden, The Market, London WC2E 8RA. Opening hours: 08:00 to 23:00 from Monday to Thursday, 08:00 to 23:30 on Friday and Saturday, 08:00 to 22:30 on Sunday. (Nearest tube station: Piccadilly Station). 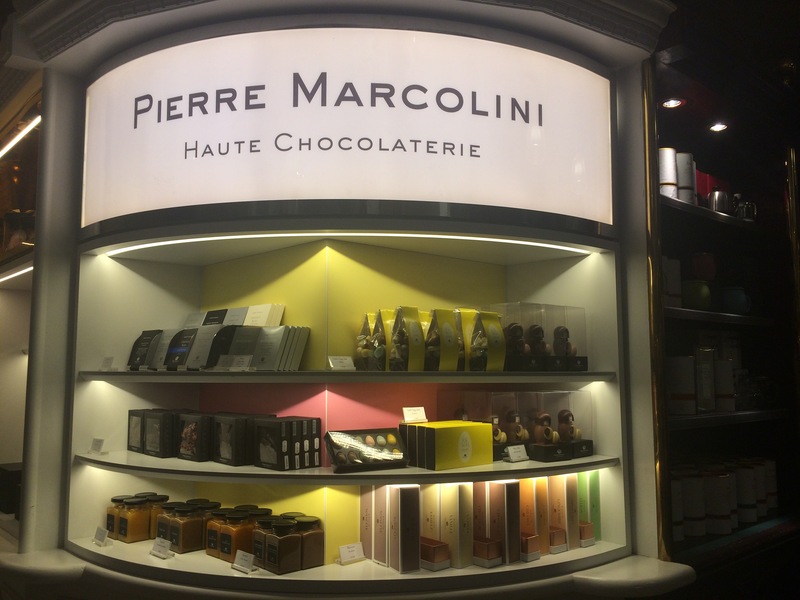 Pierre Hermé’s namesake and a talented pastry chef and chocolate-maker in his own right, Belgian-born Marcolini opened his first shop in Brussels in 1995. Luckily, he’s now opened two outlets in London, as well as in America and Asia, to add to the original store. 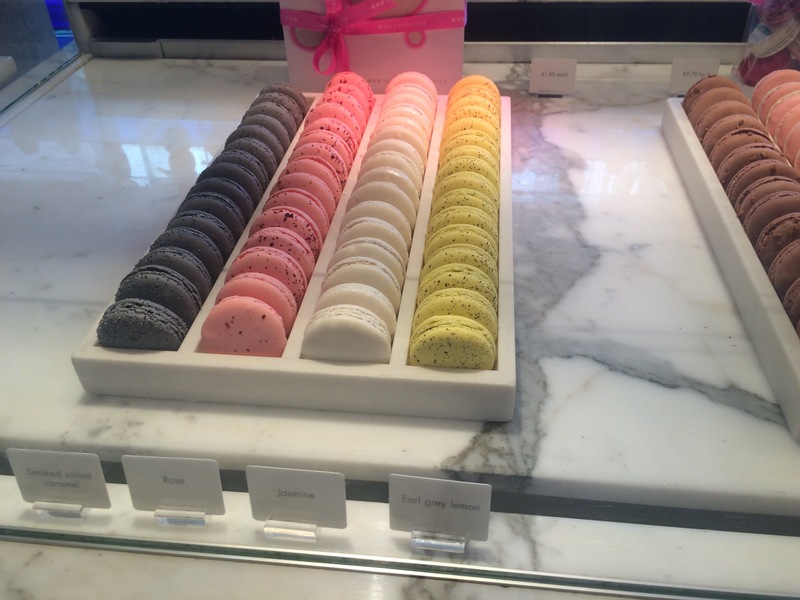 If you visit, make sure you try the Framboise macaron, with a lovely rich chocolate and raspberry ganache. À ‘Chuao’ dark chocolate macaron and ‘Framboise’ raspberry and chocolate macaron from Pierre Marcolini’s shop. Address: Harrods, 87-135 Brompton Road, Knightsbridge, London SW1X 7XL. Selfridges Food Hall, 400 Oxford Street, London W1A 1AB. 37 Marylebone High Street, London W1U 4EQ. (Nearest tube station: Baker Street). As well as winning the British Chocolatier of the Year award four times and being the mastermind behind a successful dessert bar (which I’m very keen to visit! 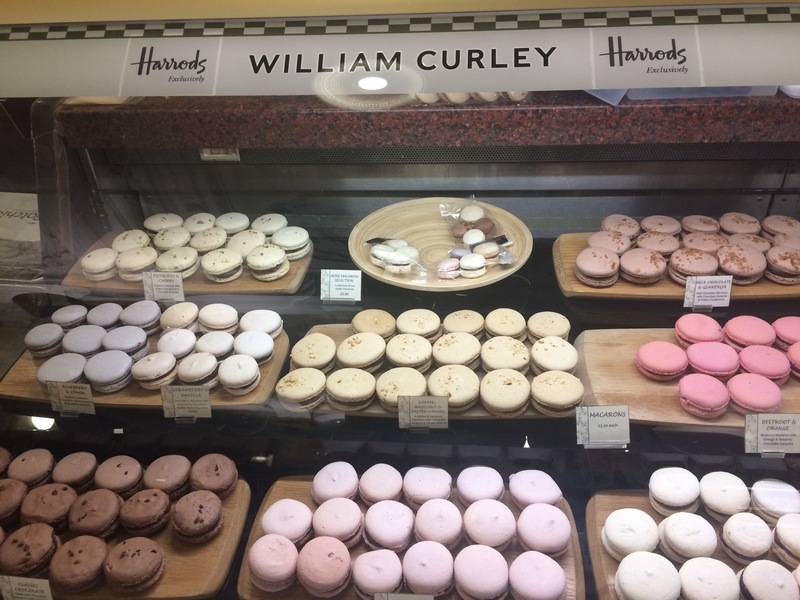 ), Scottish chocolate-maker and pastry chef William Curley also makes a mean macaron. 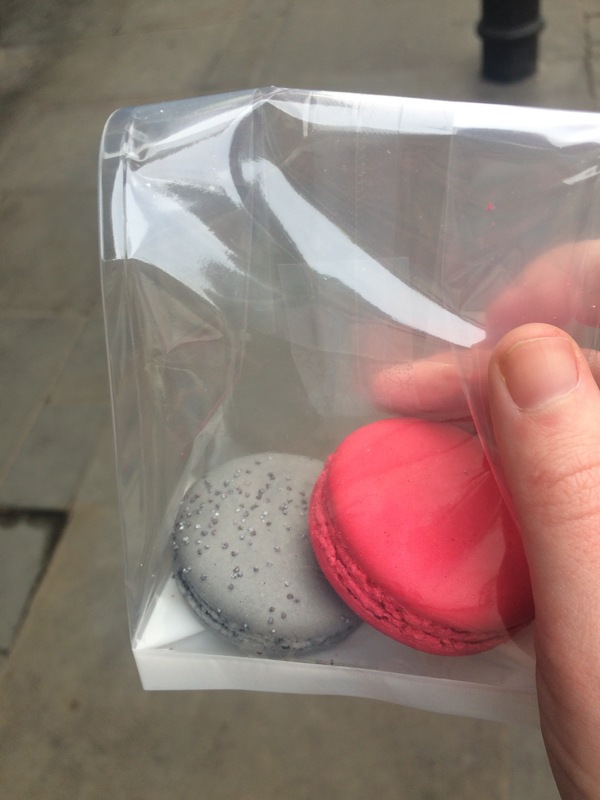 I had the coffee, hazelnut and salted caramel macaron which was, as you might expect, off-the-scale deliciousness. 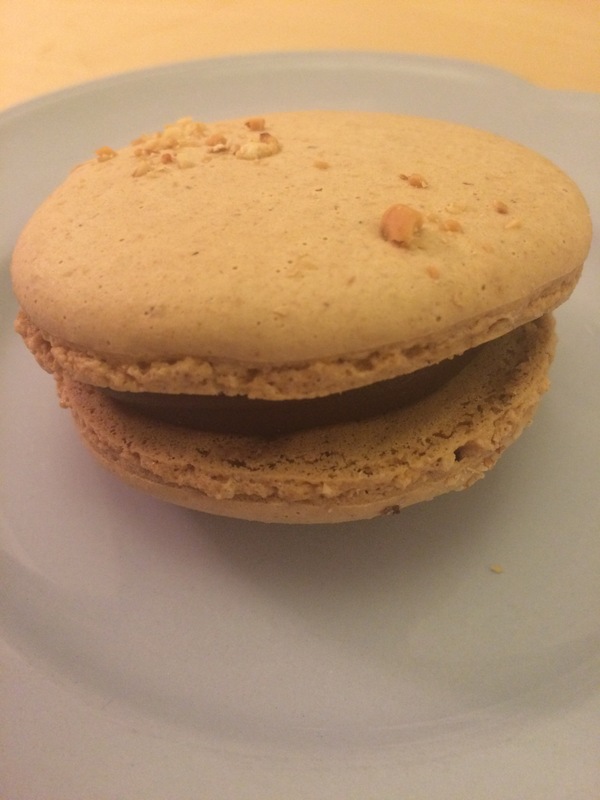 Coffee, hazelnut and salted caramel macaron from William Curley. 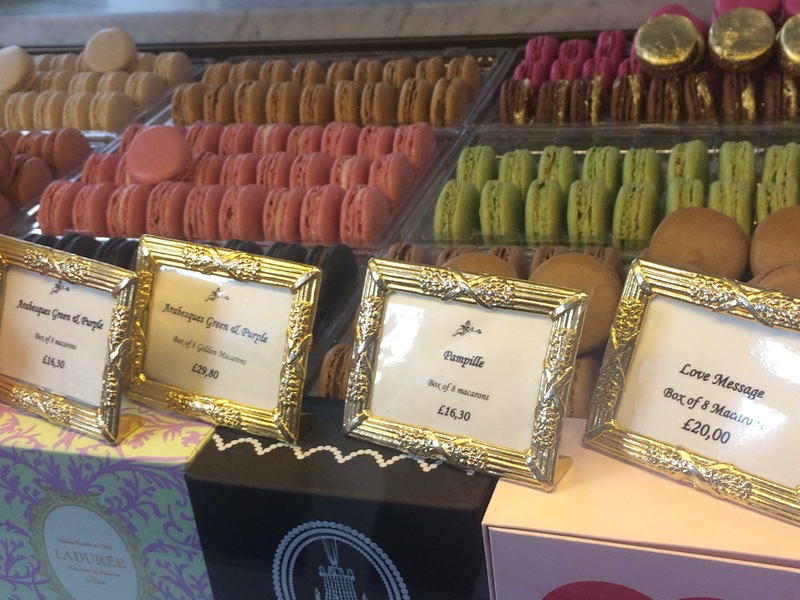 What are your favourite macaron flavours, and where are your favourite macaron places in Britain and abroad? 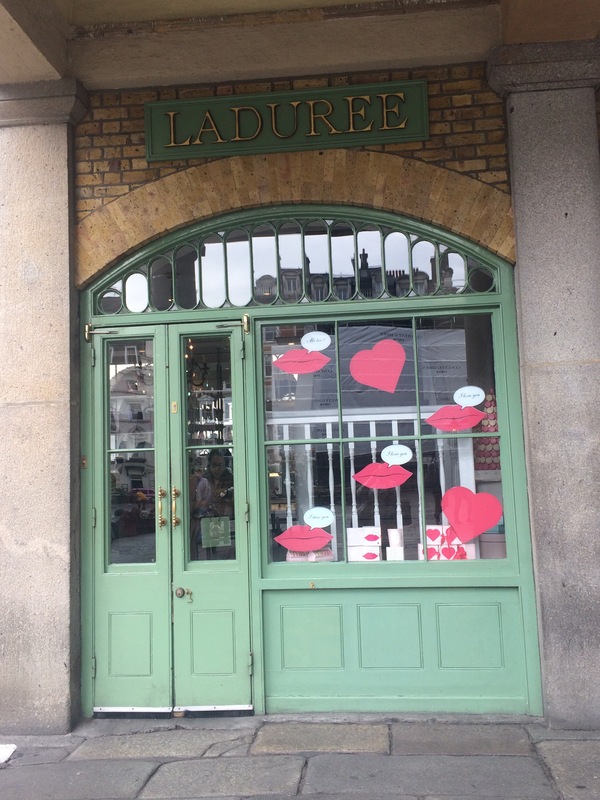 For more food and drink posts, why not read my list of the best crêperies and best French bakeries in London here and here? Or how about finding out to make the perfect French hot chocolate, or where to go for the best food and drink in Paris?